How to use AR Emojis on Samsung Galaxy S9 !! Last year Apple launched their finest creation the iphone X with a new feature called Animojis. No doubt that the Animojis are really interesting and funny and iPhone X uses facial expressions and movements to control the Animojis. This year Samsung launched their Galaxy S9 with the introduction of AR emojis. However their is a difference in both emojis the iPhone X uses the dragon and alien’s to make the Emojis while the Samsung wants you to be the emoji .That is it creates a Emoji which looks just like you. 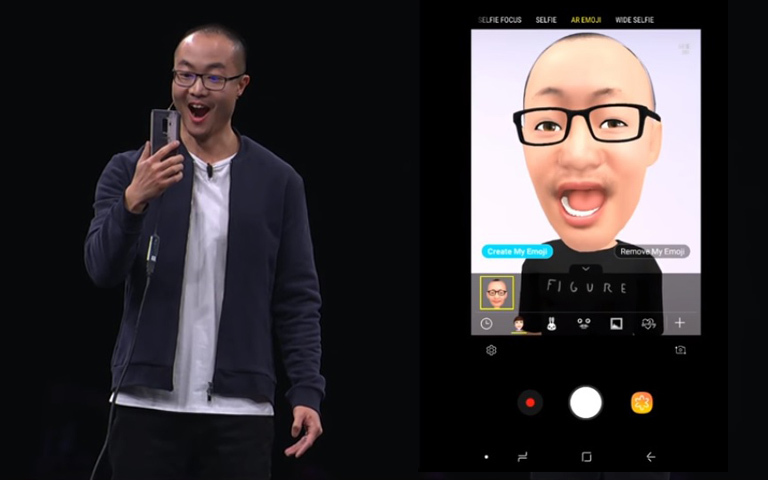 To create the AR emojis Galaxy S9 uses its front camera to track and map your face. The AR emojis might look a bit odd at first but they are completely yours. Your friends can easily recognise it. So do you also want to use the AR emojis here is How to use AR Emojis on Samsung Galaxy S9. To start with, open the camera app on your Samsung Galaxy S9 or S9 plus. Now slide across the slider ( which will be at the top of the screen) and find “AR Emoji“. Now Grant the necessary permissions and launch the AR emoji creator. Now just frame your face in the screen without opening your lips and click on the shutter icon ,just like you take a selfie. Note : For the Best results , Samsung recommends to keep hairs away from the frame and also advises to remove your Glasses. Once you have clicked the photo it will ask you to select your Gender ,So select according either “Male” or “Female” then tap “Next“. —You can adjust your hairs by choosing the “Hair icon” and Going through a number of styles. — You can adjust different frames of Glasses if you wear a one. ( Of course ,you can choose not to use Glasses). 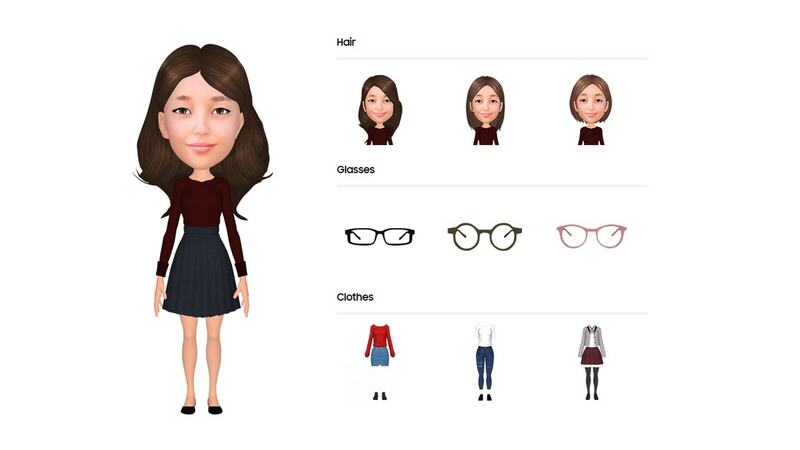 — You can choose different outfits for your AR emoji via t-shirt icon. Once you are happy with you AR emoji tap “OK.” . Now a notification will pop up alerting you that you AR emoji is ready to be use and will be available in keyword as a sticker. Now when you will launch the camera again,you’ll see your AR Emoji on the screen. Tap it, and it will replace you in the camera feed, reflecting you just as you’d expect with Animoji on iPhone X. Move around, make different faces, and your AR Emoji will follow your face motion. You can capture a photo or make a video like you normally would in selfie mode to capture your AR Emoji in all its fun. For switching back to the normal camera , just select the different camera icons on the top of the screen. So that’s all for How to use AR Emojis on Samsung Galaxy S9 . The company has launched 18 animated stickers that will feature your AR Emoji. These AR Emojis will work with all your social media Apps like Facebook and WhatsApp. So Enjoy !